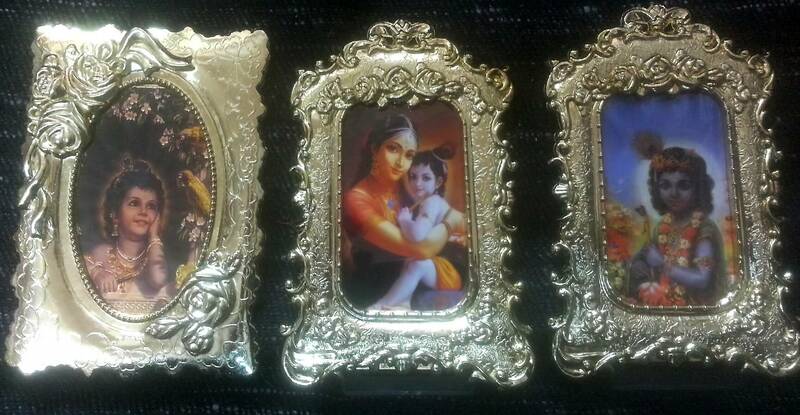 Very attractive antique silver color metallic frames with pictures of Krishna. Has a magnet so will stick to any metal surface. Set of thee framed pictures. Size is 4.5 inches high.